The United States Fish and Wildlife Service (FWS) is in the process of revising its rule to increase protection for African elephants in response to the alarming rise in poaching to fuel the growing illegal trade in ivory. This rule will go into effect July 6, 2016. 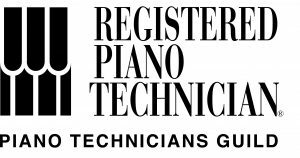 Many older pianos have ivory keys, which means there is specific interest in this rule to both piano owners and technicians. The final rule will prohibit sale and offer for sale of ivory in interstate and foreign commerce except for antiques (defined as an item over 100 years old) and certain manufactured items that contain a small (de minimis) amount of ivory and meet specific criteria. This exception appears to allow for the legal ownership, and domestic sale of musical instruments containing 200 g or less of legally obtained (pre-1976) ivory. It is not clear, however, how the repair or replacement of damaged ivory keys will be handled. More information about this rule can be found at http://www.fws.gov/international/pdf/final-rule-african-elephant-4d.pdf. ← Why do pianos go out of tune?